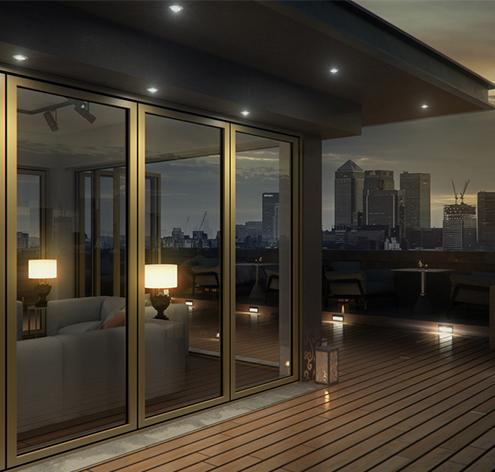 Cleverly engineered in partnership with Reynaers for super smooth operation. 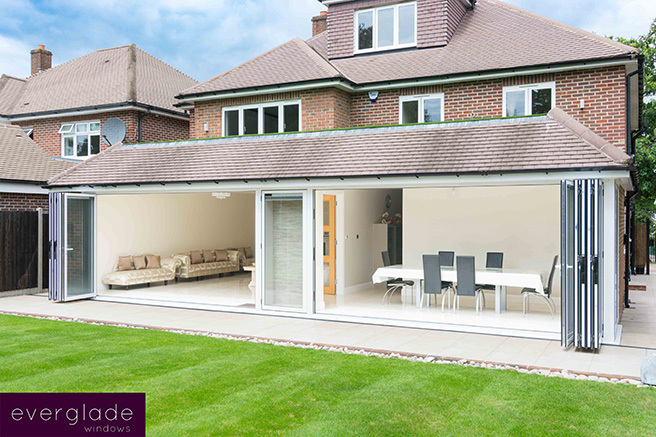 The entire Everglade CF 68 aluminium bifolding door range is available in any RAL colour and can be dual-coloured to allow you to match the inside facing frame to complement your interior décor whilst the outside of the frame remains in-keeping with the exterior of the property. 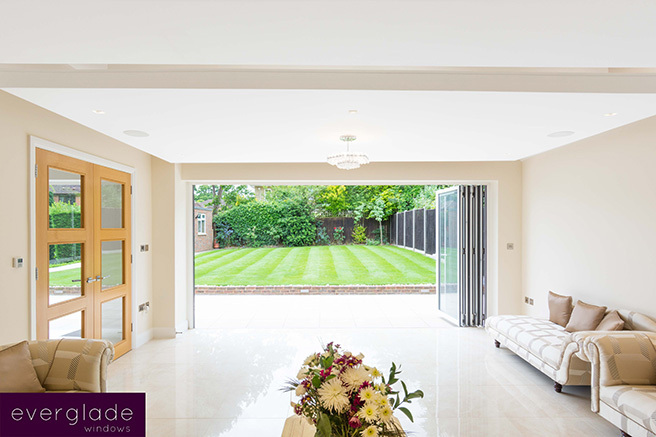 You can choose a contemporary grey to suit your modern Barnet or Hillingdon home, or a timeless white to suit classic homes in Ealing and Wembley. 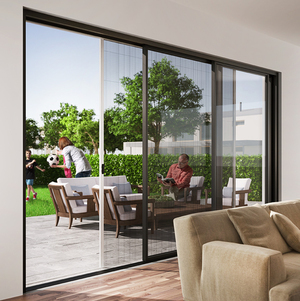 Security is of paramount importance which is why the CF 68 aluminium bifolding doors are manufactured with top quality components, built-in shootbolt lock operations and three hook multipoint locking as standard. 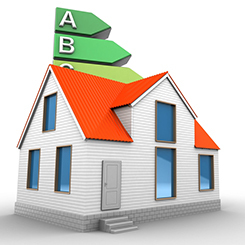 There is also the additional option to upgrade to Secured by Design. 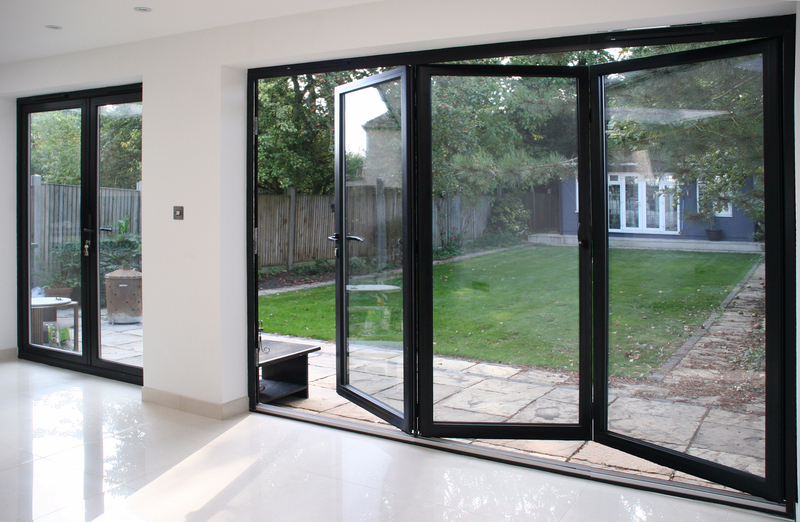 Everglade also offer the option to upgrade to a Secure Diamond 3 star Ultion lock for your bifolding doors. 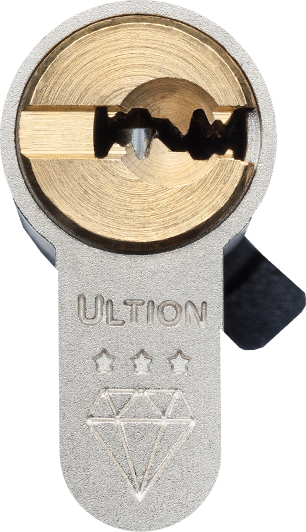 Ultion locks are 11-pin locks which enter a lock down mode when it detects attack. 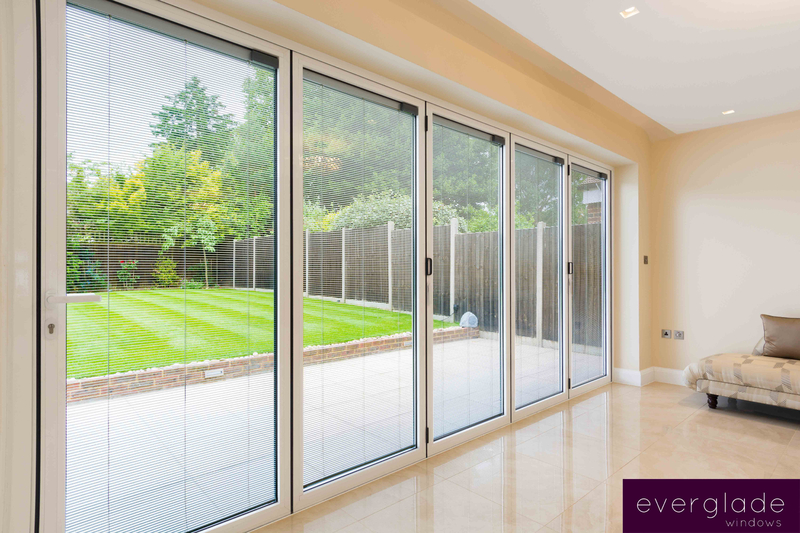 Everglade CF 68 aluminium bifolding doors come with a U-value of 1.5 with standard double glazing and are tested up to 300 pascals for water tightness. 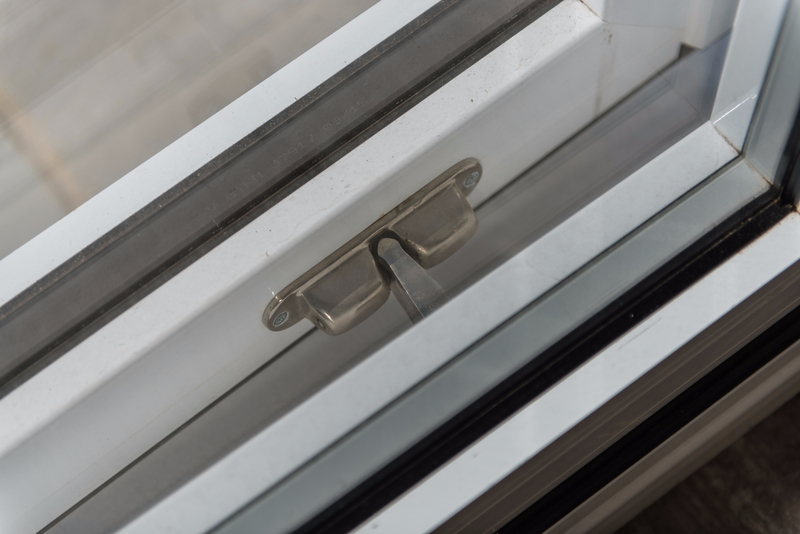 They are also tested up to 800 pascals for windload with the additional option of adding a double weather seal. 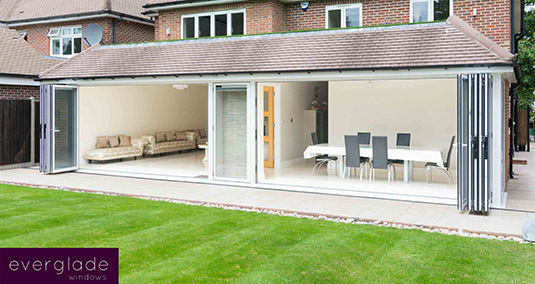 All of which means Everglade CF 68 bifolding doors are as energy efficient as possible. 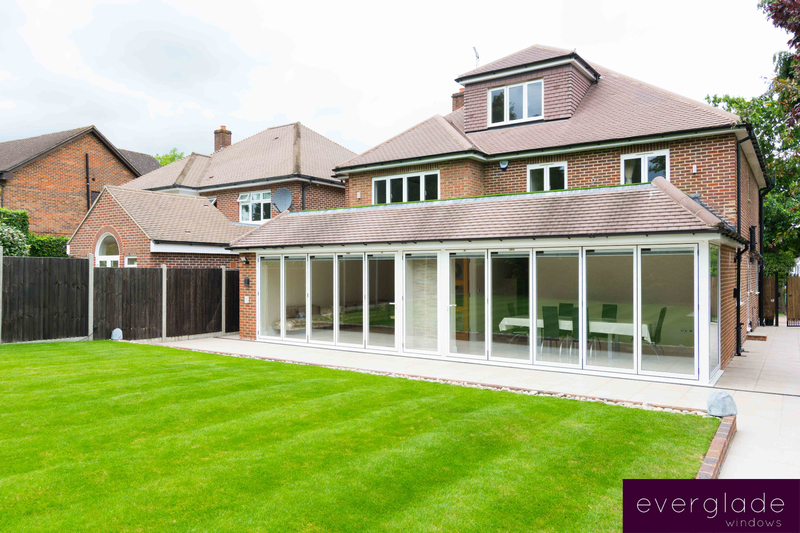 At Everglade, we use TruFit, an expanding foam edge installation tape, to fit our windows and aluminium bifolding doors. 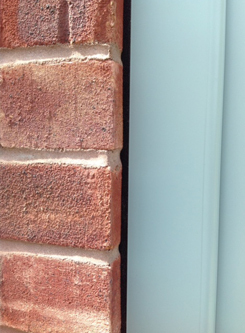 The specially designed tape expands to fill any gaps between the wall and the door frame for total energy efficiency. 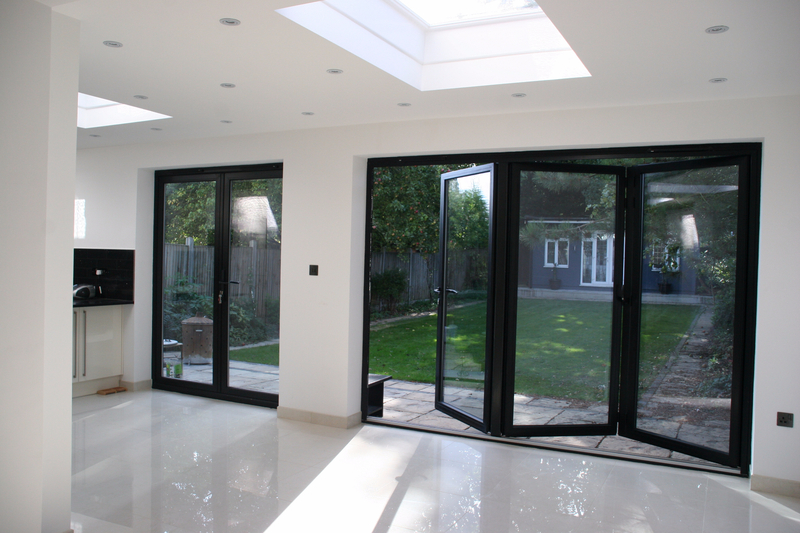 It offers a neater finish during installation too, with no messy silicone or mis-matching coloured trims. 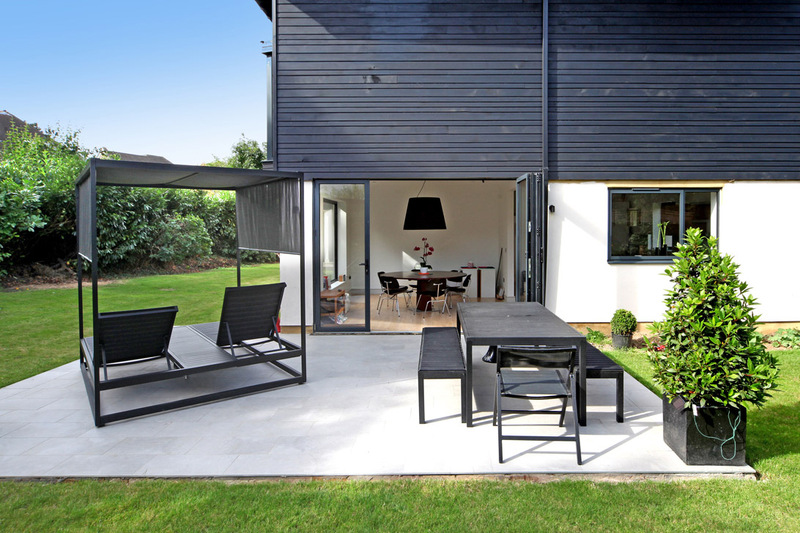 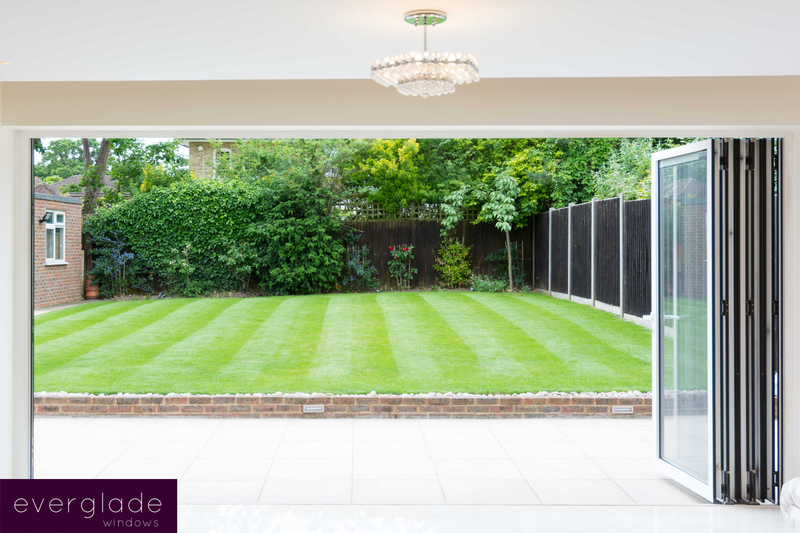 If you’re wondering how to dress your bifold doors, choose privacy screens. 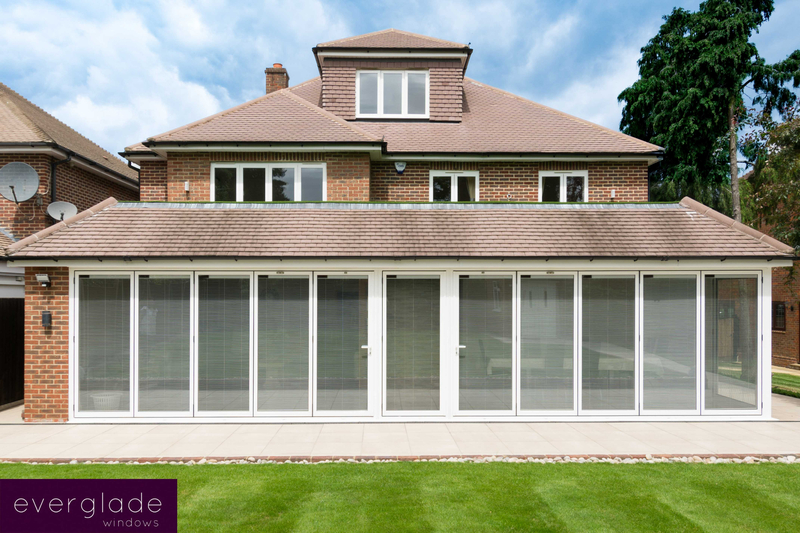 They’re a sleek and stylish alternative to curtains or blinds, with slim sightlines and a concertina style that works effortlessly with the doors. 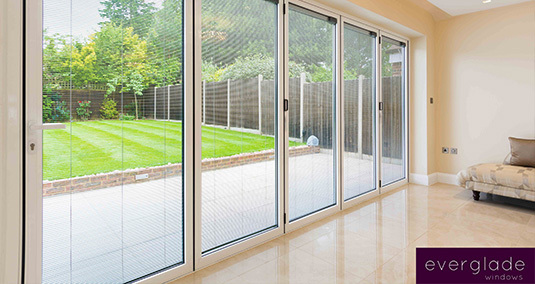 Privacy screens also mean the doors can be opened all day long and you don’t have to worry about any flies or insects entering your home. 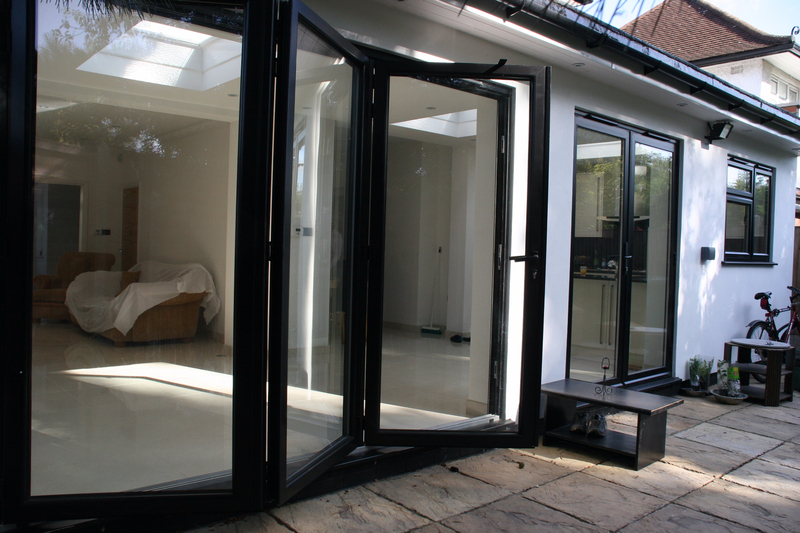 Click to start designing your new aluminium bifolding door.